Photographing weddings in Sheffield is always fun, especially at Whirlowbrook Hall, one of our favourite venues. Rachel & Sam were excitedly getting ready in two separate rooms there. Rachel looked amazing in her dress, just time for some quick champagne before the walk down the aisle where she was very nearly upstaged by her adorable page boys! The ceremony was lovely and afterwards guests mingled in the gardens whilst we took photographs then it was just time for some bubbles instead of confetti before heading in for the meal. The speeches were great too. In the evening their was lots of cake and some very enthusiastic dancing! 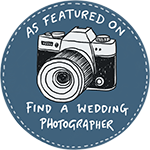 Helen & Paul photograph weddings in Cumbria and also weddings in Sheffield too, we love to travel all over the country to photograph weddings.